Great startups are dynamic, nimble and apply smart solutions to today's challenges. However, they're also often small. What many startups have in nimbleness, they lack in market market dominance, working capital and a large customer base. This means that customer acquisition costs can present an economic barrier to growth and startups may struggle to reach their full potential. By working with existing, successful companies our startups are able to leverage the experience and networks of more established brands. Good partnerships can reduce costs, shorten learning curves and unlock new customer segments. Bagan Innovation Technology develops content platforms which include the #1 Myanmar Android keyboard, #1 online bookstore in Myanmar as well as other business lines including recruitment and retail software. 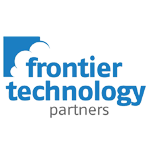 Frontier Technology Partners provides business solutions for new markets with the aim to become the leading financial technology company in South East Asia. They have commercial and technical expertise in mobile payment systems for the Myanmar market. GL-AMMK Is a service company specialized in leasing services in Myanmar. It is a subsidiary of Group Lease PCL in Thailand, the leading digital finance company listed on Stock Exchange of Thailand (SET) with commercial presence throughout Asia. 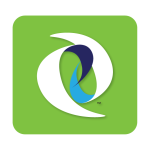 Oway is the leading travel company in Myanmar offering a wide range of online and offline distribution solutions. Oway operates oway.com.mm, Myanmar’s first one-stop online travel portal, with the largest inventory of hotels, flights, cars, buses and tours.